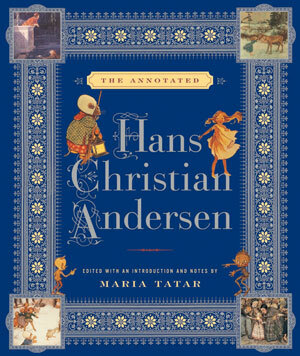 A richly entertaining and informative collection of Hans Christian Andersen's stories, annotated by one of America's leading folklore scholars. In her most ambitious annotated work to date, Maria Tatar celebrates the stories told by Denmark's "perfect wizard" and re-envisions Hans Christian Andersen as a writer who casts his spell on both children and adults. Andersen's most beloved tales, such as "The Emperor's New Clothes," "The Ugly Duckling," and "The Little Mermaid," are now joined by "The Shadow" and "Story of a Mother," mature stories that reveal his literary range and depth. Tatar captures the tales' unrivaled dramatic and visual power, showing exactly how Andersen became one of the world's ten most translated authors, along with Shakespeare, Dickens, and Marx. Lushly illustrated with more than one hundred fifty rare images, many in full color, by artists such as Arthur Rackham and Edmund Dulac, The Annotated Hans Christian Andersen will captivate readers with annotations that explore the rich social and cultural dimensions of the nineteenth century and construct a compelling portrait of a writer whose stories still fascinate us today.